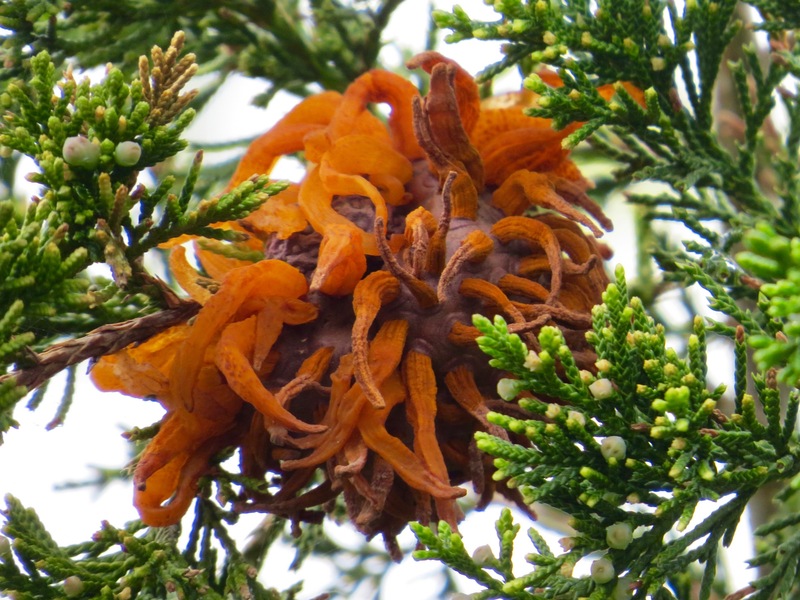 Cedar-apple rust (Gymnosporangium juniperivirginianae) just past its peak gelatinous stage on an Eastern Red Cedar (Juniperus virginiana) at Jamaica Bay Wildlife Refuge. These telial horns fire off spores during the wet spring season. The spores float off, perhaps to find a rose family tree like an apple or crabapple (Malus) for the the next stage of its life. One of my favorite lifeforms.